The Bottom Line Tax Service has been serving the South Lake Tahoe and surrounding cities since 1983. 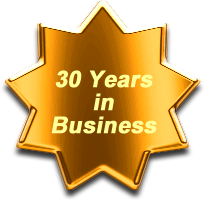 Our experience spans over thirty years in accounting, bookkeeping and business operations. We have been using and supporting QuickBooks for over 30 years and our QuickBooks services team members are Intuit ProAdvisors. We maintain annual certifications and continue our education to stay up on the latest technology and changes in software. We pride ourselves in making your goals, our goals. We believe your success is our success.